Thank you for your interest in applying to University of Houston-Clear Lake. 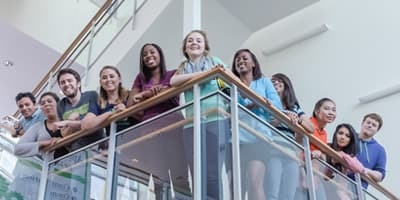 Here at the Office of International Admissions and Programs, we are excited to assist you with all of your admissions-related questions, including those related to immigration. We also understand that the application process for an international applicants can sometimes be a daunting task, so we are here to assist you. Whatever your academic and career goals might be, we encourage you to review UHCL’s many academic programs. Once you locate the program that is right for you, you can start the international application process today. In addition to meeting the admissions requirements as an international student, you must also meet the university admissions requirements for your enrollment status. We get it. There are several universities through the United States that interest you. But we feel that UHCL is one of the hidden gems that’s truly worth your attention, and we want to prove it to you! A Leading Institution: For the Spring 2017 semester, we have over 1075 students from foreign countries. For the 2015-2016 academic year, we were ranked by the Institute of International Education as one of the top 40 Master’s Institutions for international students. 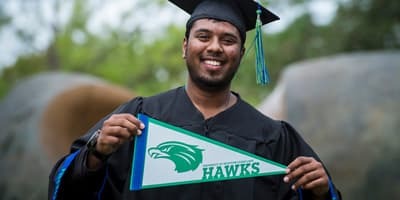 Strong Student Body: International students represent 13 percent of the student population at UHCL. Affordability: Many international students do receive scholarships of some sort. UHCL is accredited by Commission on Colleges of the Southern Association of Colleges and Schools. The College of Business is accredited by AACSB International. Key high-demand programs in the College of Science and Engineering are accredited by ABET. The College of Education accredited by NCATE/CAEP as well as SACS. Great Cost of Living: Houston’s cost of living is lower than the other five largest cities in the United States. 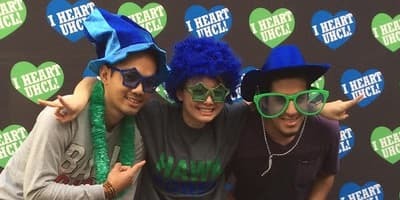 Active Social Life: UHCL is home to a range of different international student organizations.